We’re proud to support Lancaster residents and business owners with our many roofing services. We provide all of the services you could need, from repairs, replacements, and installs, to our additional services, including roof snow removal, insulation, weatherproofing, and chimney repair. If you’re ready to get your roofing project started, we’re ready to help. Feel free to schedule an appointment for our roofing services. Also, you can continue reading to learn about our various services, the roofing materials that we work with, and our supplementary roofing services. Whether you’re finishing your own personal home, or you’re a developer who is working to cap off a number of homes in your up-and-coming development, you can count on our roofing contractors to build a solid, reliable, warranty-protected roof. We can also install insulation and weatherproofing, and we work with a variety of roofing materials — including both sloped roofing materials and materials for low- and no-slope roofs. Count on our roofing contractors to top off your project with a roof that you can trust will last. If you have a roof that has endured some weathering, we can rebuild or replace it. Keep a keen eye out for leaks, missing shingles, shakes, or tiles, visible roof damage, and other signs that your roof is aging. If you notice any of these issues, or if you’re aware that your roof is near the end of its life, reach out to us for help. We’d be happy to perform an inspection, and we’ll let you know about the current condition of your roof and the best plan of action to ensure that your building is continually protected from the elements. We work with nearly any roofing material that you’ll find on homes here in Lancaster. There’s a reason that most homes in America have asphalt shingle roofs: They provide outstanding value for their price and performance. While asphalt shingles don’t last forever, they’re an ideal option for those who are building on a budget. 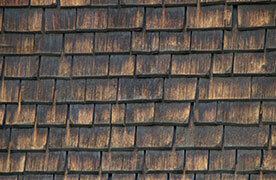 Plus, nowadays, modern shingles are lasting for decades on end. 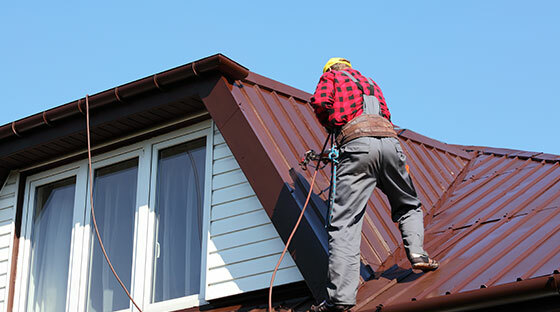 If you need to have your shingle roof repaired or replaced, we’re the local crew to call. Wood shakes are a classic roofing material, and they provide a warm, natural aesthetic that fits the style of many homes here in Central Massachusetts. While wood shake roofs are more expensive than asphalt shingles, they still provide excellent protection, so long as the shakes are properly maintained over their lifetime. 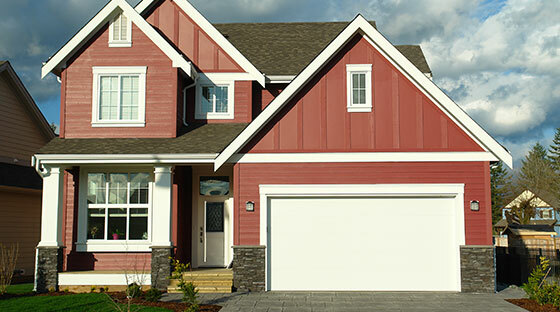 If you’re considering a wood shake roof for your home, or if you currently have a wood shake roof that could use some repairs (or a full replacement), you can count on the roofing crew here at Red Dog’s Roofing. 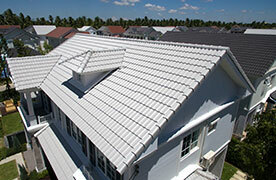 Metal roofing is an excellent option for its durability and affordability. 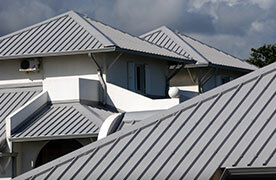 We can install metal roofing on your home, and we’d be happy to repair or replace sheets that are rusted or damaged. When you work with Red Dog’s Roofing for an asphalt shingle roofing installation, you should know that we’ve partnered with Owens Corning® as a Preferred Roofing Contractor company — that means that we can provide exclusive warranties that you won’t find from other roofing contractors. When we install Owens Corning shingle roofs, our workmanship and the shingles themselves are backed by incredible warranties. Feel free to learn more about our Preferred Contractor warranties. Slate tile roofs are prized for their beauty and longevity, though they’re more expensive than any other roofing material on the market, and they require special care for installations and repairs. We can install slate tile on your roof, so long as it is structurally sound enough to hold this heavy roofing material (slate tiles weigh far more than other roofing options). 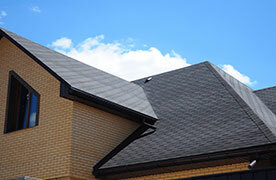 We can also replace individual tiles on your roof if you have any that have endured damage. 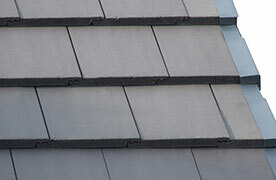 Composite slate roofs are made to look just the same as actual slate, and they’re far less costly and heavy. Plus, these tiles are proving to be rather resilient in the face of adverse weather. If you’d like to install composite slate tiles on your roof, you can count on the Red Dog crew. And, once again, if you have a composite slate roof that requires repairs, we can help. For commercial roofing services, including service of low- and no-slope roofs, you can trust that we’re the best local crew to call. Red Dog’s Roofing proudly provides commercial roofing services throughout Lancaster and the surrounding area. We work with a number of roofing materials, including all of the following roofs: TPO roofing, PVC roofing, rubber roofs, torch down roofs, modified bitumen roofing, and roof coating. Make sure that your business continues to run smoothly with a strong, reliable roof from Red Dog’s. If your chimney is aged, damaged, or leaking, we can repair it to look and perform as good as new. We provide tuckpointing services and chimney rebuilds if your bricks and mortar are falling apart. We also offer chimney cap, chimney crown, and flashing replacements and repairs. 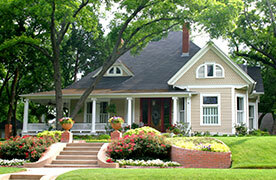 In short, we can work on any component of the external part of your home’s chimney. You can read more about our chimney services. Winter can prove to wreak havoc on roofs here in Lancaster. Fortunately, we take all of the effort out of roof snow removal, so you can trust that your roof won’t be damaged by a heavy storm. We can safely remove inches of snow off of your roof, and we’ll get rid of any ice dams that can cause problems on your roof. If your roof has accumulated six inches of snow or more, then it may be best to call for snow removal to ensure that the structure of your building remains intact. You can read more about our roof snow removal services. If you have a roofing project in mind, we’re just a call away. Reach out to Lancaster’s local roofing experts here at Red Dog’s Roofing. We’re proud to have provided roofing services for local residents and business owners in the area since 2012, and we look forward to serving you with our professional roofing services. Schedule an appointment for your roofing project today!